Dien Bien is a mountainous, border province located in the Northwestern part of the Homeland, having 400-km-long border shared with Laos and China, thereby holding a position of importance to national economy, defence, security and diplomacy. The province is a strategic area in the common defensive posture of the Military Region 2 and the country. This is also a key area which is regularly sabotaged by hostile forces. Perceiving that, over the past years, under the leadership and direction of higher echelons, particularly of the Military Region 2’s Party Committee and High Command, and the Provincial People’s Council and People’s Committee, armed forces of Dien Bien province have promoted their core role in performing defence-security missions, providing the basis for maintaining political stability, fostering the province’s socio-economic development, and improving the people’s material and mental life. From the implementation of defence-security tasks, the provincial armed forces have drawn several lessons which also act as measures for the time to come as follows. First, actively advising the Provincial Party Committee and People’s Committee on leading and directing the building of all-people national defence posture associated with the people’s security posture. This matter is of utmost importance to the province as Dien Bien is still a poor province with undeveloped economy, infrastructure and cultural-social institutions. To deal with this matter, the Provincial Military Command (PMC) has counseled the province to focus on combining socio-economic development with defence-security consolidation; on gradually strengthening the all-people national defence posture associated with the people’s security posture, the all-people border defence posture in each area, particularly in key areas. Specifically, guidelines and measures to combine economy with defence and security have been clearly presented in resolutions and long-term, medium-term, and short-term action plans by the Provincial Party Committee and People’s Committee. Grounded on those documents, sectors, forces and localities have developed resolutions and action plans at their level with specific goals and targets. As for each sector and field, especially key economic sectors, such as agriculture, forestry, industry, tourism and fishing industry, the province has demanded the close combination of economic development and national defence. Military commands at all levels have closely cooperated with the Public Security, Border Guard and competent offices in appraising and counseling the Provincial People’s Committee to approve projects for socio-economic development on a close, procedural basis. Those projects have helped both develop its economy and create a positive change in strengthening the potential and posture of defence and security. The systems of traffic, posts and telecommunications, healthcare, and hydropower reservoirs have been planned and built to serve both the people’s life and defence missions. On the basis of carrying out comprehensive surveys of the situation in the area and grasping the particularities of each locality, the PMC has proactively counseled and directly taken part in the development and implementation of the plans for arranging and stabilizing residential zones in some areas in an effort to restrict the shifting cultivation of wandering hill-tribes, encourage socio-economic development, build strong all-people national defence posture. At the same time, it has advised the Provincial People’s Committee on consolidating the Steering Boards on Defensive Zone and People’s Air Defence, and the Supply Councils for provincial and district-level defensive zones as the basis for maintaining the operation of defensive zone. Moreover, the provincial armed forces have promoted their core role in gradually building combat base, rear base, air defence battlefields, militia border defence positions, thereby contributing to building the province’s increasingly strong all-people national defence posture and defensive zone, meeting the requirements of Homeland protection in all situations. Second, enhancing the work of defence and security education, creating a huge change in awareness and responsibility of sectors, localities and people towards the implementation of military-defence tasks. To that end, the PMC has counseled the province to consolidate the organizational structure and complete the regulations on the operation of the Councils for defence and security education at all levels; to instruct and inspect the implementation of this important work. As the standing organ of the Provincial Council for Defence and Security Education, the PMC has directed military commands at all levels to cooperate with relevant sectors and committees in reviewing and developing plans for defence and security education at various levels. Grounded on particularities of each area and group of objects, the province has attached importance to renewing contents and measures of education in accordance with reality of the areas and defence-security situation. As Dien Bien’s population is unequal in density, especially ethnic minorities in remote, isolated, border areas, the province has advocated organization of training courses in localities. To do so, in addition to dispatching cadres of the groups1 and 2 to attend training courses held by higher echelons, annually, the province has organized training courses on defence and security knowledge in the Provincial Military School and district-level Political Training Centres for the groups 3 and 4. It is noteworthy that the province has encouraged and created favourable conditions for village patriarchs, heads of clans, and prestigious people from ethnic minorities to attend training courses on defence and security knowledge. Besides organizing full-time training courses and conducting propagation and dissemination of defence and security knowledge via mass media, the provincial armed forces have deployed groups and teams to each village to work with village cadres to carry out this work. In 2017 and the first half of 2018, the province has held training courses on defence and security knowledge for more than 5,000 cadres, public servants, party members, village patriarchs and heads of clans, while cooperating with schools under the province in holding training courses on defence and security knowledge for more than 17,000 students. Thereby, awareness and responsibility of cadres, party members and people within the province towards defence and military missions have ceaselessly improved, contributing to mobilizing the synergy of the whole political system and people in the task of national construction and protection. Third, regularly making the local armed forces strong and capable enough to be the core in performing local military and defence missions. The PMC has directed its offices and units to focus on consolidating their organizational structure in accordance with functions and tasks of each force with priority given to units tasked with combat readiness and stationed in border areas and key areas of defence and security. Moreover, due attention has been paid to building “revolutionary, regular, elite, gradually modern” active forces to meet the mission requirements. Significance has been attached to building strong offices and units politically as the basis for the improved synergy and combat strength. At the same time, quality of training and exercises, particularly defensive exercises has been improved to be in accordance with reality, characteristics of opponents, projects and operating areas. 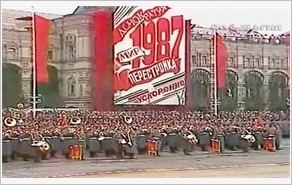 During the process of implementation, the province has asked units to combine political education and military training with regularity building, discipline management, and maintenance of the order for combat readiness, thereby rendering cadres and troops ready to undertake and successfully fulfil the assigned task. To build the militia and self-defence forces, the province has adhered to the Law on the Militia and Self-Defence Forces to build its “strong, widespread” militia and self-defence forces with proper structure in accordance with the area’s particularities. At the same time, it has adopted measures to effectively implement the Project on building the militia and self-defence forces in the 2016-2020 period and beyond. Up to now, the province has built nearly 300 militia and self-defence establishments, contributing to maintaining political security and social order right at grass-roots levels. As for the reserve forces, due attention has been paid to preparing reservist resources via allocation of targets for reservist recruitment and training; to renewing and improving the quality of reservist training. In 2017 alone, the province held training courses for nearly 100% of the reservists and 98.6% of the reservist detachments, ensuring the reserve forces are always strong and ready to be mobilized and successfully fulfil every assigned task. Being proud of the place where the battle of Dien Bien Phu took place, and of its victory which shocked the globe, the provincial armed forces along with local party committee, authority and people will strive to successfully fulfil military and defence missions, contributing to maintaining political security and social order in the area.